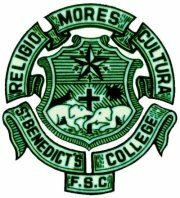 The Benedictines and their spouses met for the first time on September 16, 1995 and unfurled the Green & White flag with innate pride in British Columbia, Western Canada. To foster mutual help and good fellowship among the Old Boys resident in British Columbia. In this historic meeting the Old Bens from greater Vancouver followed their counterparts in London, Sydney, Melbourne, New York, Toronto and the parent OBU in Colombo. The enthusiasm evinced by the Bens was the forerunner to the Inaugural Dinner Dance and other events that were organized in the years that followed in accordance with the aims and objectives of the OBA. Our OBA extends a warm welcome to alumni who may be migrating to Western Canada or North Western USA. It will be our pleasure to greet and assist you & family to settle down in your adopted homeland and relish the hospitality and camaraderie of fellow Bens. We had occasion to extend the bonds of fellowship to Benedictines who visited beautiful British Columbia in the past.